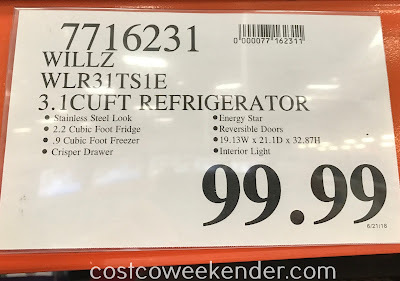 If your household is like mine, then your refrigerator is probably full. That's why it might be a good idea to get an extra refrigerator for drinks and snacks. 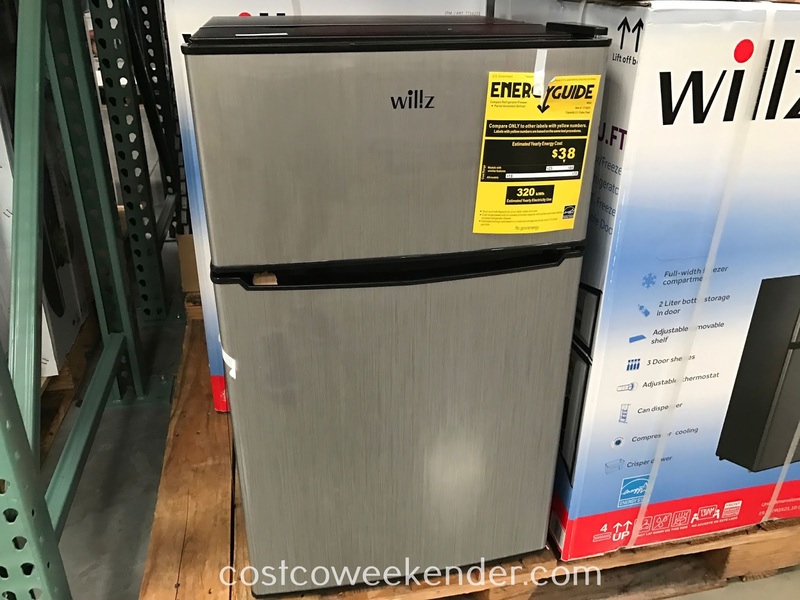 You don't need another full-sized refrigerator when a mini-fridge like the Willz 3.1 cubic ft Compact Refrigerator/Freezer (WLR31TS1E) from Costco would suffice. 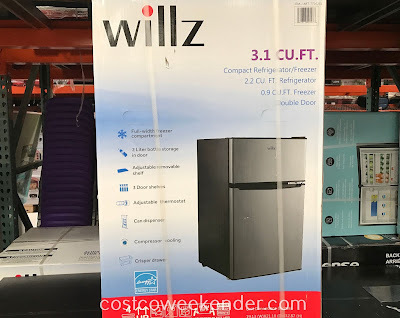 You could always use additional refrigerator space, but getting a full-sized refrigerator would take up a lot of space whereas the Willz WLR31TS1E Refrigerator is small enough that you can probably fit it in some corner of the house. It's great for dorm rooms, man caves, and garages. 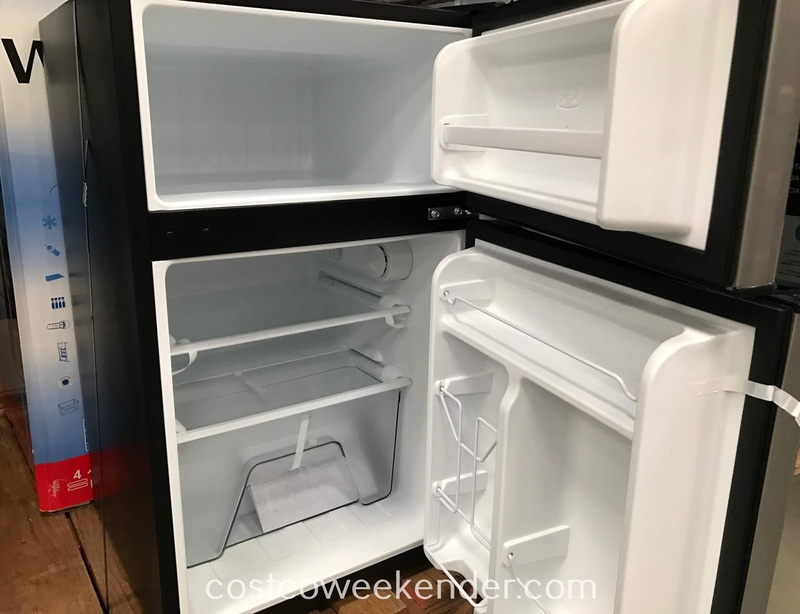 The convenience of having a mini fridge in a bedroom just makes it all the more worth it. i bought mine at market on the move, the 3000 club and it will not get cold, when are they open, who do i contact.the willz 3.1 cubie ft. comopact refrig/freezer? ?